60m3 water tanks production process is completed and products are delivered to Azerbaijan for Azfen. 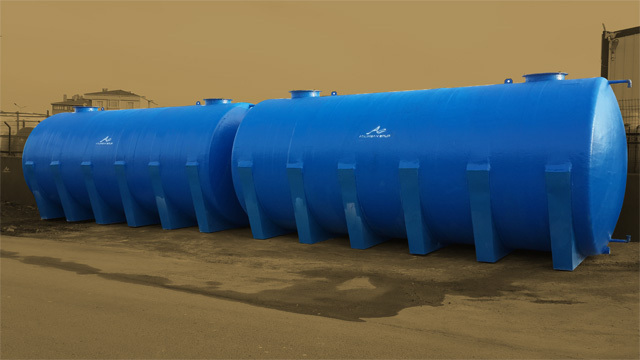 Tanks are produced with Izoplas quality standarts and have warranty for 5 years against to production defects. Tanks’ projects are drawn by us and dimensions are standart of us. Tanks’ are designed for easy transportation. Production is completed in 15 days. 60m3 water tanks production could be as fiberglass. Production can be as horizontal or vertical. Tank will enable easy installation and more useful life through its level gauge, legs and other equipments on it. Dividing walls will support to tank during filling of tank. Tank cover : There are 2 cover on tank’ top right and left side. Lifters : There are 2 lifters on tanks for each one. Level Gauge : It is demountable. You clean it if required. Dividing Walls : There are 2 dividing walls inside of tank for each one. Outlet : There is 4″ outlet at bottom side of tank. Iron legs and sheets : There are 6 pcs. legs at the bottom side of tank. These legs are fixed to tank with iron sheets. You should install your tank o a concrete ground. Please control tank balance after install it. Don’t move or carry tank when it is full. Don’t interfere over tank with any driller or cutter materials. You should use cover for filling of tank.